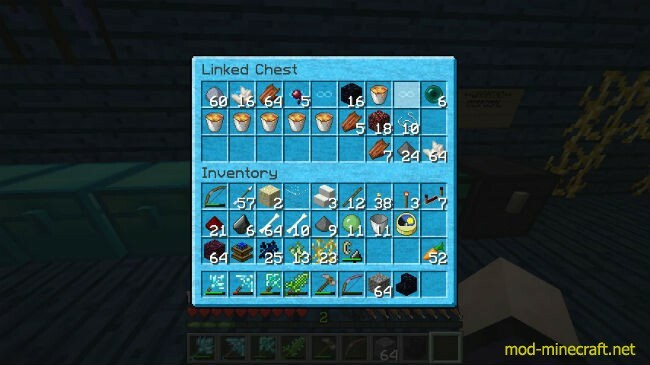 Linked Chest is a different kind of ender chest that allows items access to a linked inventory from any location. Items in the first 9 slots of a linked chest are considered to be linked. That item will be transferred into the first available slot in a linked chest if it is picked up from anywhere.